One man looks towards getting a shot at gaining back the heavyweight gold he once held. The other looks to elevate his status, keep his young unbeaten streak and gain the biggest win of his career in front of a home crowd. The UFC heads to the Adelaide Entertainment Centre in Australia for a Dec. 1 Fight Night event. In the headline bout, former UFC heavyweight champion Junior Dos Santos squares off with Australia’s own Tai Tuivasa. Dos Santos last competed in July, scoring a decision win over Blagoy Ivanov. It was his first fight back since a USADA suspension where he was clear of wrongdoing. Dos Santos has struggled since his 2011-12 UFC title reign, going 4-4 since starting his career at 15-1. While he’s picked up wins over Mark Hunt, Stipe Miocic and Ben Rothwell over that time frame, he’s come up short when UFC gold has been on the line — falling to Cain Velasquez in the latter two bouts of their title trilogy, as well as a failed shot against Miocic at UFC 211 back in May 2017. For Dos Santos, currently sitting at No. 7 in the UFC’s heavyweight rankings, a win over Tuivasa represents the opportunity of potentially breaking back into the top five. After starting his MMA career 5-0 alongside a stint in pro boxing, Tuivasa made his UFC debut a little over a year ago, scoring a performance-bonus winning knockout of Rashad Coulter. 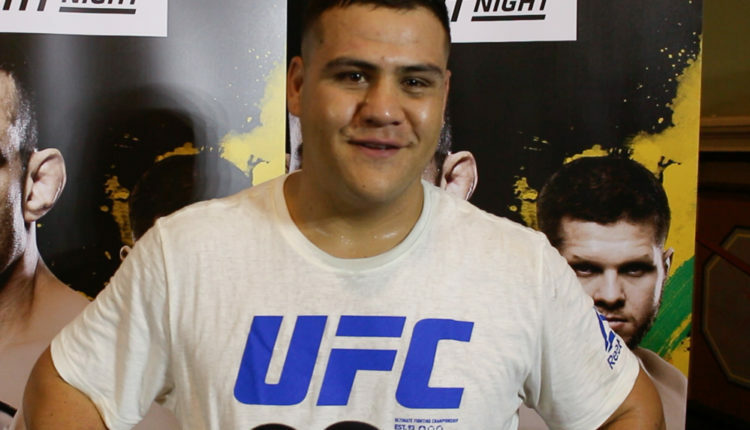 After a TKO of Cyril Asker in February, Tuivasa, who has earned popularity for his “shoey” celebrations after wins, earned the biggest win of his career at UFC 225 when he defeated a former UFC heavyweight champion in Andrei Arlovski. With a win over Dos Santos in his native land, Tuivasa could catapult himself into contendership. In the co-main event of the evening, New Zealand’s Mark Hunt, the No. 10 ranked heavyweight, looks to turn around a two-fight losing skid. His opposition, No. 15 Justin Willis, looks to extend the winning streak he’s had since losing his pro debut. This bout appears to likely mark the end of Hunt’s UFC run, as his contract expires following this fight and he has openly discussed taking his talents elsewhere to end his career. The legendary Mauricio “Shogun” Rua also competes in main card action, as he takes on Tyson Pedro.